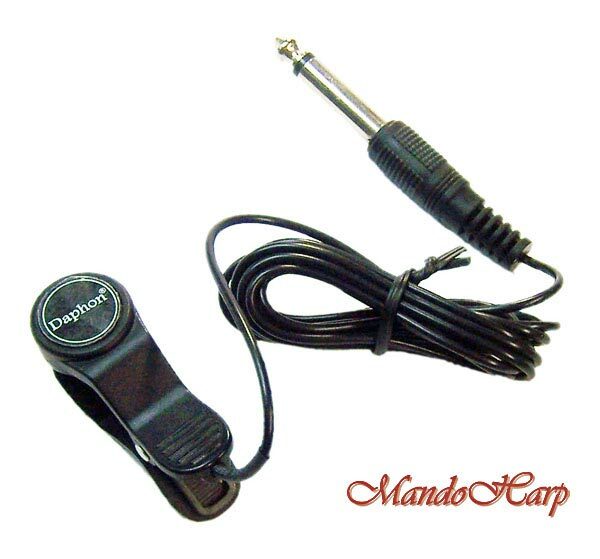 This unique pickup from Daphon clips onto the headstock or bridge of your instrument and provides a fantastic quality sound pickup for your amplifier or straight into a P.A System. 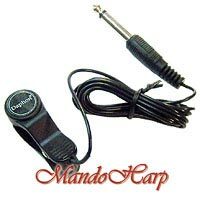 This pickup will allow you to amplify just about any acoustic string instrument including Guitar, Violin, Banjo, Mandolin, Viola, cello, Bass etc. etc. 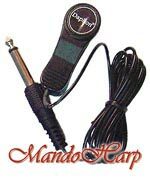 It is also great for using with Tuners for more accurate tuning in a noisy environment. 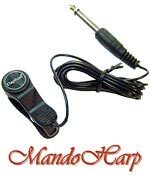 "I've been using one of these pickups for my mandola, mandolins, banjo-mandolin, tenor banjo and ukuleles at every gig since October 2006. 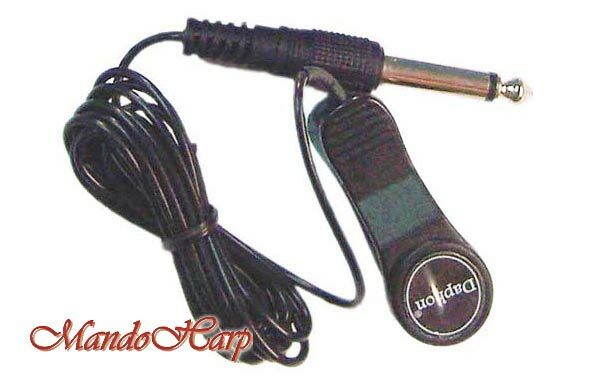 I've sometimes even used it with success on chromatic harmonicas. The great advantage for me with these pickups is being able to unclip and reclip to another instrument without having to pull the plug and freak out the sound guy. 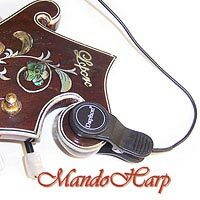 On stringed instruments I usually clip my Daphon pickup onto the headstock and run the lead to the left side of my instrument stand. I find I get a good sound on our PA if I pull down the treble and midrange, and push up the bass. The settings I use are Treble: 3/10, Mid: 3/10, Bass: 7/10. Of course the settings for your amp will probably differ but this may be a good starting point. They're no Fishman but for $20 or so I think they're fantastic value pickups." 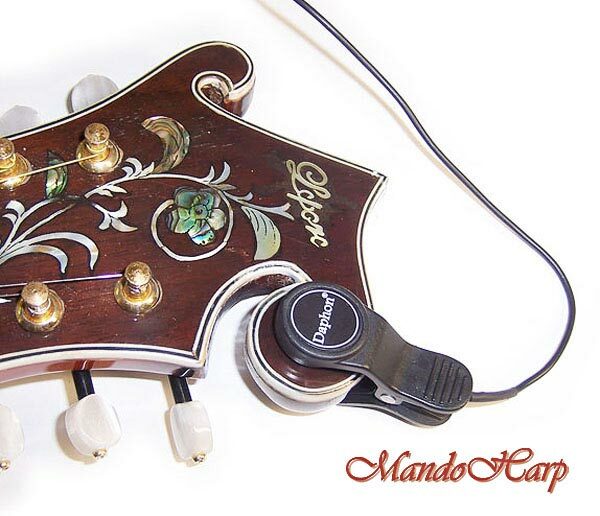 Works on most string instruments including mandolin, mandola, bouzouki, banjo, ukulele, violin, viola etc.